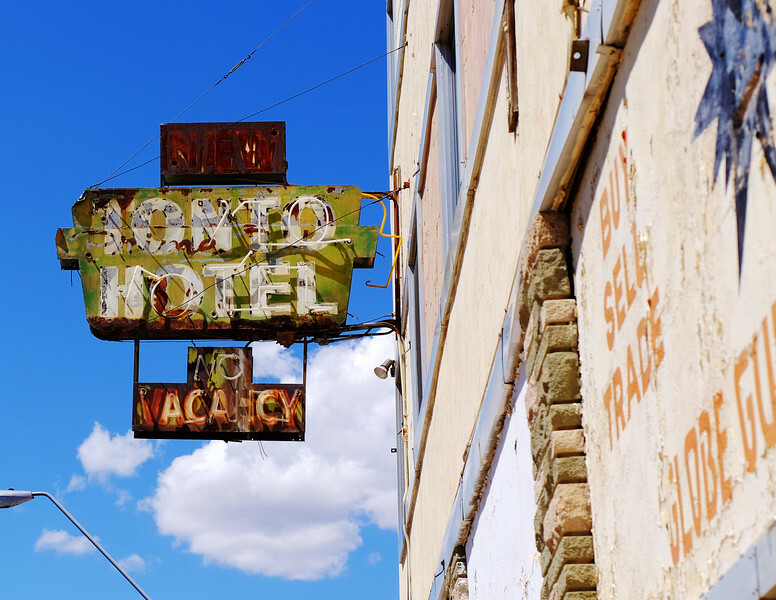 I just love the old motels around America. They harkin back to the 40's thru the early 70's before the cookie cutter chains popped up everywhere. Their old, attention getting, neon signs are works of art in themselves. Vying for the motorists attention along the way before the coming of the interstates, each motel/hotel tried to stand out from the crowd and offer a comfortable place to rest after a hard days drive on the road.